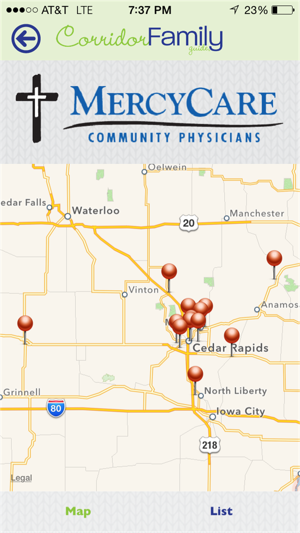 The Corridor Family Guide App is your #1 resource for finding Eastern Iowa's local businesses, products, services and family-friendly activities! 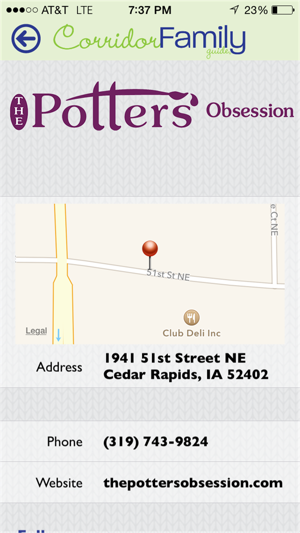 Serving Cedar Rapids, Iowa City and the surrounding areas, the Corridor Family Guide App is a unique companion to the full color print guide you enjoy every month. 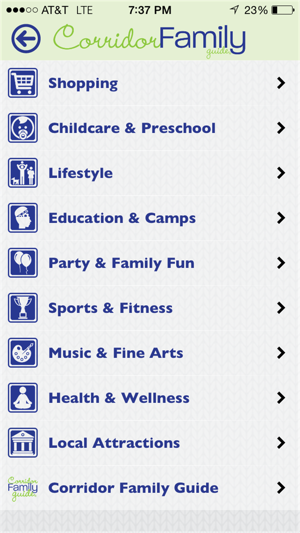 Use the app to easily access phone numbers, websites and emails of local shops, childcare, camps, sports, family activities and so much more! 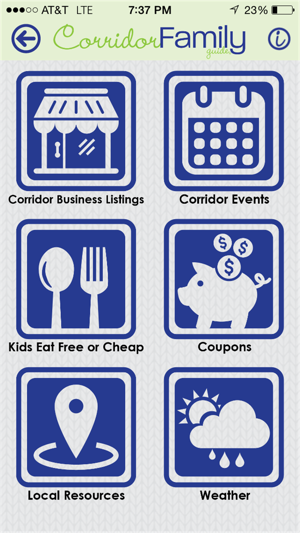 In addition you can find calendars of special events, a handy guide to restaurants offering special discounts on dining out with your kids, and special money-saving coupons unique to the Corridor Family Guide App!